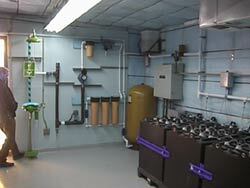 The control room permits simultaneous watering of all battery cells. The water may be treated to improve quality and add to the life and performance of the batteries. 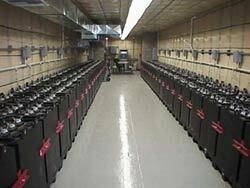 Watermaster automates the process of watering stationary battery cells. Working from a central tank all cells are filled quickly and reliably. A UL tested and approved Flame Arrester Ring (FAR) is used to prevent flame migration from cell to cell and explosion. This UL tested and approved device prevents flame migration from cell to cell and explosion. This is pictured as PN5008.00 on pg. 1 of catalog. 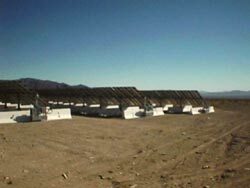 Photovoltaic modules are often used to provide power which is stored in standby batteries.